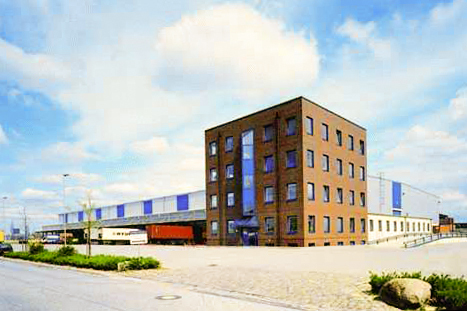 While we have housed coffee in Vollers for a while now, we are pleased to highlight Schwarze as another option for our customers who prefer to have their coffee held and shipped from the continent. 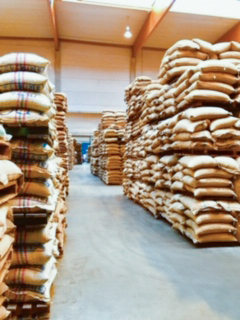 Over the past year, we have expanded the inventory held in Hamburg, and our customers can take advantage of utilizing one or both warehouses as they select from our offerings: We regularly send out price sheets for available lots in each, and we make great efforts not to split lots so that each inventory is stocked with unique coffees. Germany’s second-largest city is no stranger to coffee: The first coffeehouse opened there in 1677, followed by Europe’s first coffee exchange in the 19th century; it has been the third most significant trading port for green coffee throughout history. The location of the warehouse relative to the port itself is a huge benefit to storing coffee, as while Vollers is a fantastic resource it’s about 40 miles from the port at Felixstowe, which requires extra transit and slightly more complicated logistics. Still, both warehouses offer excellent convenience, similar shipping costs, and expert logistics to get your pallets wrapped up and on the move to your facility. 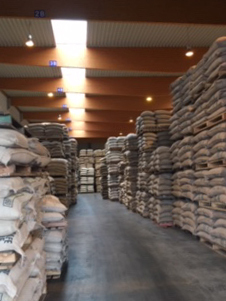 We will be visiting Schwarze & Consort in February to continue building a strong relationship with the warehouse managers and coordinators there, and we are looking forward to expanding our inventory there and offering even more unique coffees to ship from continental Europe right to your door. Get in touch if you have any questions or would like to receive any samples from either of our two European warehouses!